What's "horse sense," how are horses related to mules, and which breed is the fastest? 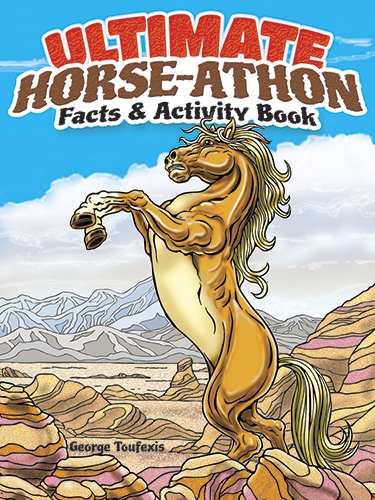 This fascinating activity book is loaded with interesting items about horses, from Attila the Hun's warhorse to the wild steeds that continue to roam the American West. Puzzles include crosswords, seek-and-finds, and mazes, plus playful pictures to color. George Toufexis.